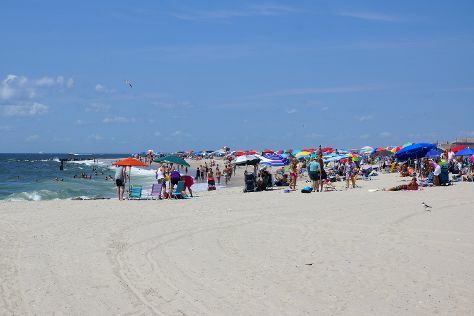 Get out of town with these interesting Ocean City side-trips: Gallery One (in Ocean View), Wildwood (Wildwood Beach, Original Old Time Photo, & more) and Cape May City Beaches (in Cape May). The adventure continues: kick back and relax at Ocean City Beach and take in the waterfront at Rehoboth Beach Boardwalk. Make your Ocean City itinerary with Inspirock to find out what to see and where to go. In July, daily temperatures in Ocean City can reach 84°F, while at night they dip to 70°F. Cap off your sightseeing on the 21st (Sun) early enough to travel back home.